Philadelphia's Wells Fargo Center is home to both the Philadelphia Flyers Hockey Team and the Philadelphia 76'ers basketball team - as well as thousands of screaming and cheering fans. Being around that much noise, and movement, the smells from the food vendors, and the flashing scoreboards can make rooting for your favorite team a real challenge for people with sensory processing disorders such as autism. To better promote inclusion for their fans, Wells Fargo is now offering special "Sensory Kits" for those with sensory challenges. 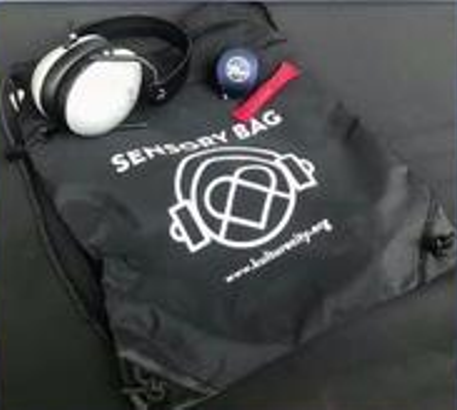 Each kit contains noise-cancelling headphones, a fidget device, a weighted lap blanket, and verbal cue cards. They also have a sensory room where fans can watch the team in a more comfortable, somewhat muted environment. These accommodations make Wells Fargo is the first arena in Pennsylvania to receive sensory inclusive certification. I'm thrilled when I see inclusion at any level, but this will mean the world to so many of those on the spectrum.